What Kinds of Teeth Whitening Treatments Are Available? If you want a professional to make sure your teeth achieve a stunning pearly white result, in-office whitening can drastically improve your smile in about an hour! Using the Glo teeth whitening system, it ensures your teeth experience minimal sensitivity after treatment. In a single visit, your teeth will be significantly brighter. During a 12-month period, you should receive two treatments, and to ensure lasting results, your dentist may send you home with a whitening product. If you’d rather whiten your teeth at home, on your own time, your dentist can provide you with the Opalescence or DayWhite 30-minute take-home system, which is customized to your smile and lifestyle. During your initial visit, you’ll have impressions taken of your teeth so your dentist can customize the trays you’ll use at home. In addition, you’ll receive a prescription-strength whitening gel that comes in several syringes. If used correctly, you’ll begin to notice a change in your smile in no time. If the cost of in-office or customizable take-home whitening solutions and gels are a bit out of your price range, you can try Trèswhite disposable trays. While the trays are not customized to your mouth, you will receive a prescription-strength formula that lightens your teeth more effectively than anything you’d buy over the counter. This easy-to-use system requires 60 minutes of wear, once a day. Before you know it, you’ll be sporting a whiter, more beautiful smile. Maybe you have some discoloration on your front teeth as a result of braces when you were younger or from consuming highly acidic foods and drinks as a kid. White spot removal can rebuild the enamel surface and restore your teeth to the color of nearby teeth. There are no shots or drills required. Using a treatment called Icon, it’s easy and affordable, making the spots completely disappear. No longer do you have to live with yellowing or stained teeth. 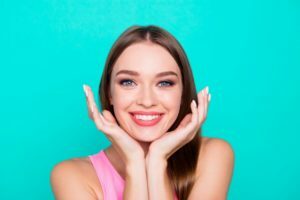 Embrace the benefits of teeth whitening in Brookline, and get to ready to show off a whiter, healthier smile the boyfriend’s parents will love! Dr. Alan Sasson earned his dental degree from the Goldman School of Graduate Dentistry at Boston University. He also earned a certification in Oral Implantology from Brookdale Hospital in New York. With more than 25 years of experience in cosmetic, restorative, and implant dentistry, he and his team of experts can give you the smile you want and deserve. Need to improve your smile quickly? Contact us via the website or by calling (617) 739-1017 to find out about teeth whitening treatment plans.